On Wednesday with the walkout of the Spycops inquiry in a show of no confidence in Judge Mitting. The Blacklist Support Group took that décision in solidarity with others families including the Lawrence’s and other groups being represented within these proceedings. Our collective message was clear – We are done with stonewalling and whitewashes. On Friday – The Met Police finally officially confirmed that Special Branch and other police were involved in the Blacklisting of construction workers. The following disclosures have now been widely reported in the worlds news. Blacklisted workers appeared and our supporters appeared on TV and radio throughout the day. This has been 6 years going back to 2012 since we first raised it through our QC Imran Khan through the IPCC. 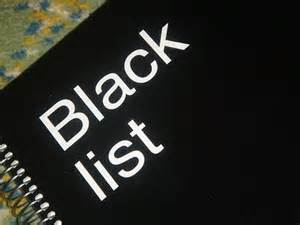 Another great article from our friends at the International Employment Rights organisation mapping out the terms of reference for a full public inquiry into Blacklisting. Letters have gone out to Unite members with regards to this issue as set out in the settlement terms of the High Court cases.